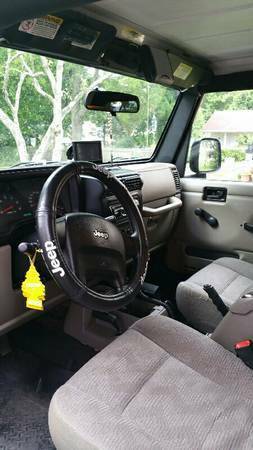 Message: I am selling my 2005 Jeep Wrangler X 4×4 6 speed manual transmission. It has a 4 inch skyjacker lift kit with 35 inch mud tires that have less than 500 miles on them. The spare tire is a matching tire and rim. I just had a snorkel installed on it. I have an offroad front bumper on it with a 9000 pound winch on it. I had side step bars installed on it also. I just got an offroad jack along with the mounting brackets that mounts it to the rear of the roll cage. 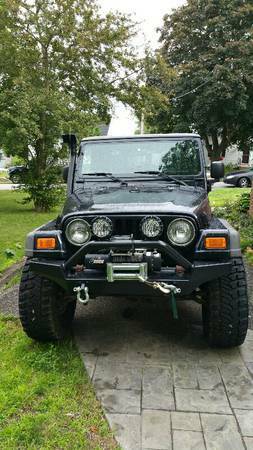 I have the hard top and the bikini top for it. I have almost a complete 2nd 4 inch skyjacker lift kit for it and the original suspension also. It has a CB radio installed in it also. 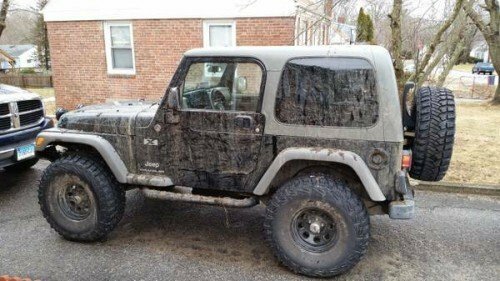 This Jeep is in perfect condition with absolutely no rust. It is one of the baddest Jeeps in this area. 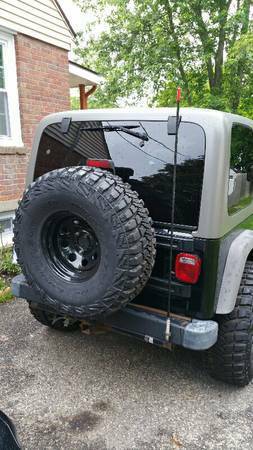 If you are looking for a Jeep that you can cruise down the highway in or hit the trails then this a perfect Jeep for you. I WILL NOT SHIP THIS VEHICLE ANYWHERE AND I WILL NOT ACCEPT PAYPAL, CASH ONLY AND IN PERSON SALES ONLY! You are more than welcome to take it on a test drive but there will not be any trail riding until you buy it. If you are interested in purchasing it then you can call or text me at 860-383-6567. Thank you and have a good day. This entry was posted on Thursday, July 16th, 2015 at 3:35 am	and is filed under Connecticut, United States. You can follow any responses to this entry through the RSS 2.0 feed. Both comments and pings are currently closed.